Knowledgable and proactive parents and teachers are critical to the success of students. Below are online resources that may be useful. CHADD – An organization with a number of resources for individuals and families living with ADD including local chapters with monthly meetings and an annual conference. ADHD Coaches Organization (ACO) – A source for finding ADD coaches. Asperger Syndrome and High Functioning Autism Association (AHA)–An organization that provides information and support for families, individuals and professionals affected by Asperger's Syndrome, High Functioning Autism, and Other Pervasive Developmental Disorders. ASPEN: Asperger Syndrome Education Network– ASPEN is a nonprofit organization that provides education, support and advocacy for families and individuals affected with autism spectrum disorders. I Have Asperger's – A perspective of the world through the eyes of a girl with Asperger's Syndrome. Parenting Asperger's Blog – A blog for parents of children with Asperger's Syndrome. National Association for Down Syndrome– A Chicago based nonprofit serving the Down Syndrome Community. They host a conference and their website includes a number of resources including an online discussion forum. A List of Resources for Down Syndrome- A list of resources for parents of children with Down syndrome including national support groups, local support groups, books and helpful websites. AKA Dyslexia -- a resource for books, articles and screening materials. Go Phonics -- provides a rich set of tools that supports the multisensory phonics approach. Lexia Institute-- develops computer technology for people with learning disabilities and their teachers. LD Online -- an interactive guide to learning disabilities for parents, teachers and children. American Association of People with Disabilities – An education and advocacy organization for people with disabilities. Disability Resources.org –A comprehensive listing of disability resources on the internet including a number of useful FAQs on a variety of subjects. Special Education Advocate– provides legal information useful to those advocating for students with disabilities. 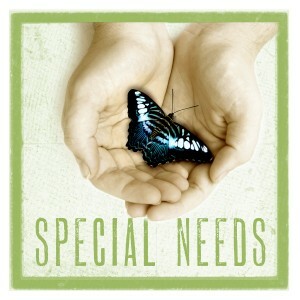 Special Education Law– provides informational resource for parents and school personnel advocating for children with learning disabilities. AVVO– A directory with ratings of local education lawyers. You can also ask a question online to their member attorneys. Wrights Law Yellow Pages for Kids with Disabilities– a state-by-state listing of educational consultants, psychologists, diagnosticians, health care specialists, academic tutors, speech/language therapists, advocates, and attorneys, government programs, grassroots organizations, special education schools, and parent support groups. Council of Parent Attorneys and Advocates – a resource for information on securing high quality educational services for children with disabilities.